In Italy, limoncello is enjoyed as an after-dinner tipple and was traditionally a homemade liquour throughout the south. These days there are countless versions of industrially-produced limoncello that are a pale imitation of the original recipe. 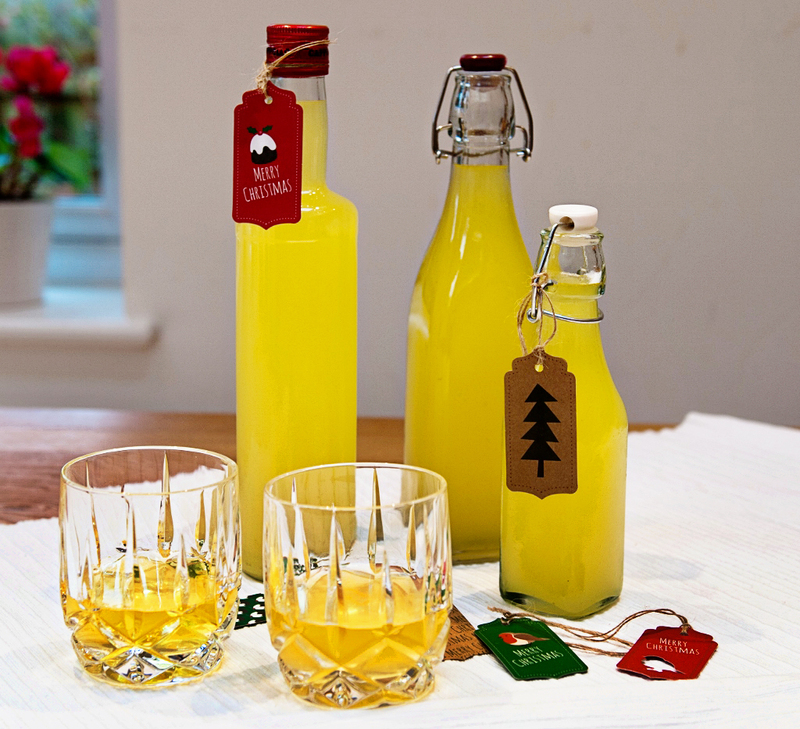 Have a go at making your own and delight somebody with a bottle of this delicious, zesty tipple for Christmas. Stored properly in a dark, dry place, limoncello will last for more than a year. Sterilise a large, screw top glass container by washing it thoroughly and then placing it and its lid on a baking tray in a heated oven at 140˚C (120˚C fan/Gas 1) for 15-20 minutes. Wash the lemons and pat dry. Peel the zest into strips with a potato peeler. Make sure you don’t peel any of the white pith. Put the zest into the sterilised jar, pour over 400ml of vodka, seal and leave in a dark cool, place for 3 weeks. Shake the container a couple of times during this period to make sure the peel is fully immersed in the alcohol. After 3 weeks, dissolve the sugar into 500ml of water over a very low heat. When the sugar is completely dissolved remove from the heat, add the remaining vodka and leave to cool completely. Strain the lemon -infused vodka into a jug, add the cold sugar syrup and stir. Make sure the sugar syrup is completely cold before combining it with the lemon vodka. Pour the limoncello into sterilised bottles and seal tightly. Store in a dark, dry place. Chill in the freezer for several hours before serving.